openSUSE as a project always looking to improve and grow and this is one of those opportunities: Google Summer of Code! Google Summer of Code (GSoC) is a program that offers students an paid opportunity to write code for several open source projects. The purpose is to benefit open source projects and encourage young developers to hack and learn. Both have a lot to gain in the end, experience and code. Google funds these students as well as the project. 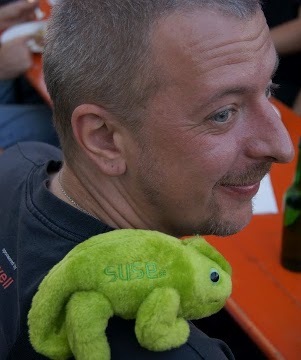 After three years of hard work the chairman of the openSUSE Weekly News team, Sascha Manns has given up his chair. We have recieved many questions about the future of the Weekly News so we thought to write a little bit about this topic. Development of openSUSE 12.2 started! With the release of Milestone 1, the development of openSUSE 12.2 has started! We’re pleased to announce that Milestone 1 contains many minor updates, like a new Firefox version but also major things like new artwork and KDE 4.8.